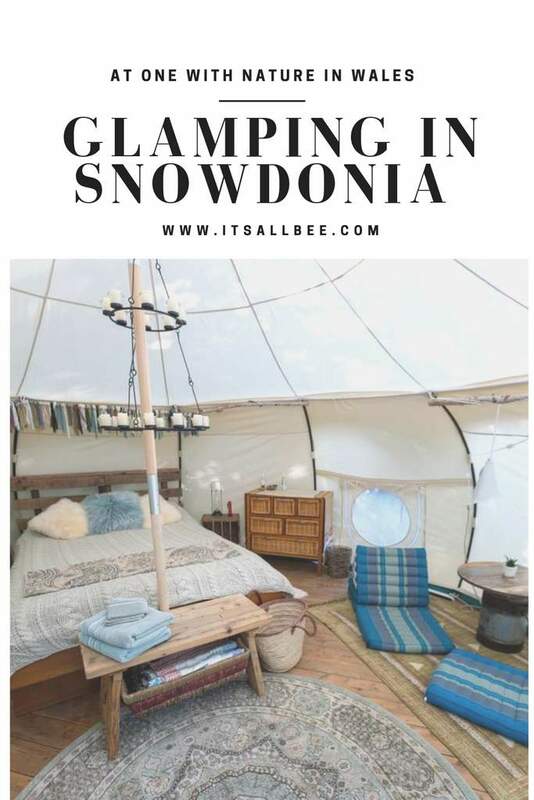 I have share with you posts on my love for the outdoors this time I want to share with you the best options for glamping in Snowdonia, covering everything from affordable glamping to luxury glamping in Snowdonia with your very own Snowdonia glamping pods with hot tubs and amazing views. Spending time outdoors has been proven to be good for your health, just the thought of freah air, beautiful sea views make me want to get in the car and head to Dorset’s Durdle or even the endless views along the white cliffs of East Sussex. I have camped in Snowdonia as well as on mountains in Norway trailing the Troll’s tongue and glamped through Britain countryside side in Gloucestershire but Snowdonia is something truly magical. If you have no idea what I am talking about I have a couple of pictures in this post but also shared a couple of posts from our hike in Snowdonia having rented a cabin, which I wish I had taken more pictures of. There are amazing options riverside glamping in Snowdonia if you want to go for a swim or love fishing but also perfect for those like myself who love a digital detox now an then and spend the evening with a glass of wine in hand watching the star-studded sky outside my very own yurt, cabin or gampling pod. So, if you love the intoxicating feeling of a good view, love outdoor cooking, early evening walks then let’s go glamping! 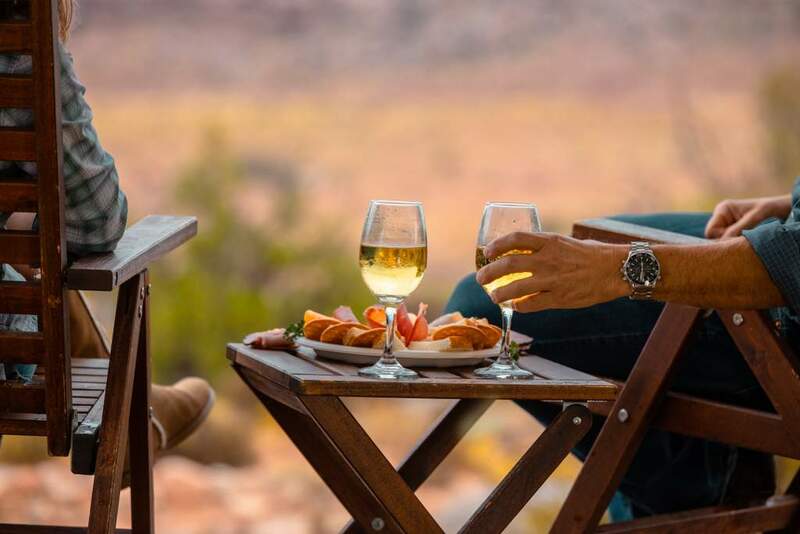 The very definition of glamping is a form of camping involving accommodation and facilities more luxurious than those associated with traditional camping. 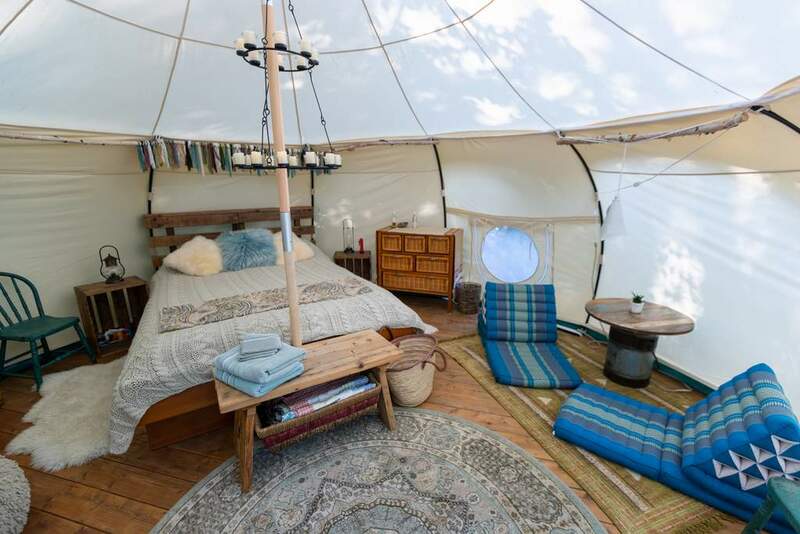 Glamping is a portmanteau of glamorous and camping and describes a style of camping with amenities and, in some cases, resort-style services not usually associated with “traditional” camping. Why try glamping?…The beauty of glamping is that it brings together the best of both worlds: the authentic experience of being wrapped in nature and relaxing comfort at the same time. Wales in only a few hours drive from London and offers easy access from London and many parts of the UK. Many glamping sites also offer bespoke vacations where activities are booked and tailored to your needs. From horse riding, lake swimming, kayaking, cycling, fishing, bird watching, hiking or leave you to your own devices to enjoy the surroundings. Why is glamping better than camping?…With glamping you get a bathroom, so dont have to worry about digging compost holes far from your camp. With glamping, you also get fireplaces, perfect for cozying up in cold seasons so you dont freeze in your tent. 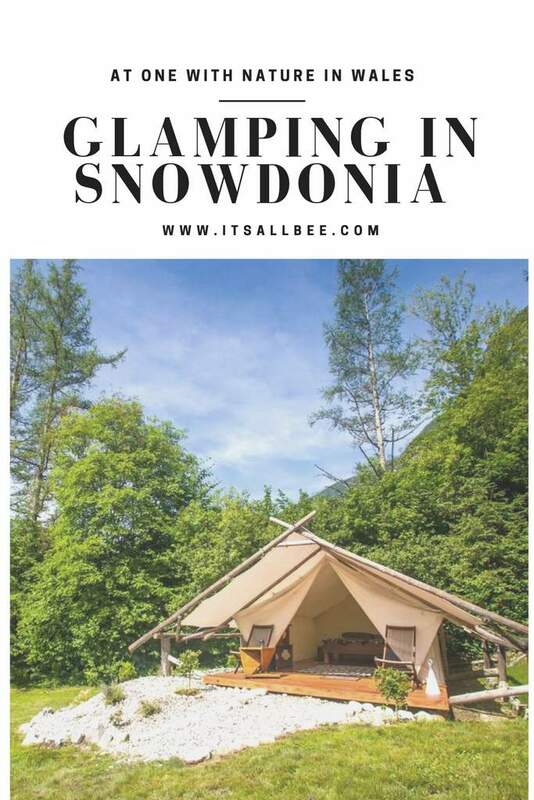 With glamping you can also avoid putting up tents and just enjoy nature effortlessly in a serene location such as Snowdonia all many other glamping places in the UK shared below. Get the best of both worlds: hotels and camping. Below are some of the most popular glamping accommodation. Glamping accommodation types offer double occupancy to family size occupancy in tents, pods or cabins. Bell Tents – a cone-shaped tent supported by a central pole. Camping Pods – Camping pods are one of the many forms of glamping accommodation and come in many different shapes and sizes. From glamping pods with hot tubs, en-suite bathrooms and comfy beds, to family camping pods, all with varying levels of comfort. Tipis – A tipi (also teepee or tepee) is a cone-shaped tent, traditionally made of animal skins upon wooden poles. A tipi is distinguished from other conical tents by the smoke flaps at the top of the structure. Yurts – a circular tent of felt or skins on a collapsible framework, used by nomads in Mongolia, Siberia, and Turkey. Shepherds Huts – A narrow housing made of wood, Shepherd’s huts often had iron wheels and corrugated iron tops. Many were used by shepherds during sheep raising and lambing, primarily in the United Kingdom and France. Cabins – huts built of whole or split logs. Safari Tents – Safari tents, stem from accommodation used on African safaris, safari tents are the kings of luxury camping, constructed with a framework of poles and canvas walls and roof. Treehouses – housing structures built in the branches of a tree. There is nothing like sleeping under the stars, while listening to nature. If you need more to convince you then don’t miss out on my post on mountain quotes to inspire your outdoor adventures. 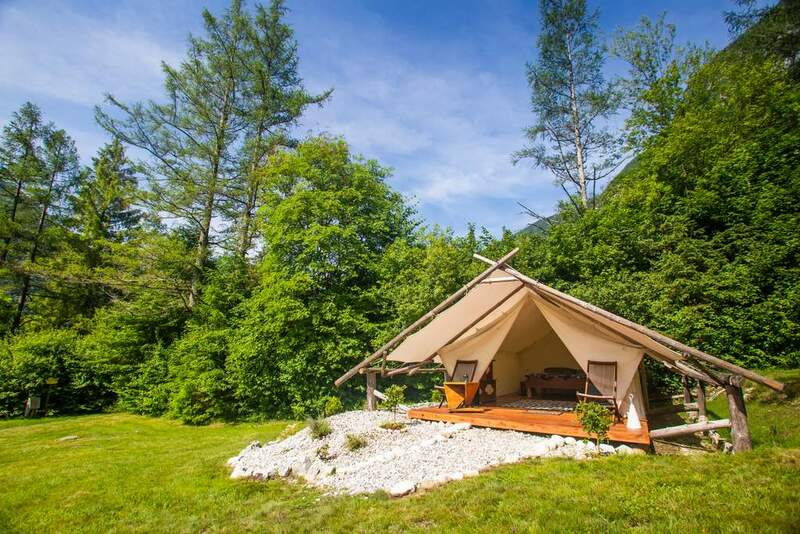 Glamping tents or pods offer some basic accommodation but with the added charm of staying in a real tent and better amenties compared to traditional camping. Just a note that it is always advisable to book well ahead of time to avoid disappointment. For some glamping spots places are booked upto 6 months in advance. You may be able to get cancellations but if there is a place that really speaks to you book your dates in advance. On offer are cool glamping pods and luxury tents with stunning sea views. You can also opt for a Continental breakfast hamper (at an extra fee) which is perfect if you are arriving on site fairly late. Set within Snowdonia National Park but only 5 miles from Machynlleth. Sometimes referred to colloquially as Mach, is a market town, community and electoral ward in Powys, Wales and within the historic boundaries of Montgomeryshire. Check dates and prices on here. Glamping accommodation types: Pods and Luxury Tents. These beautiful family friendly treehouses also made a feature on George Clark’s Amazing Spaces. There only 6 treehouses so book well in advance to experience this magical site. Located in Machynlleth, on a traditional Welsh sheep farm, in a hidden valley on the edge of the Snowdonia National Park. The treehouses also have ensuite compost toilets, warm outdoor forest showers (heated by your woodburner) and a small rudimentary fridge. Open all year round and ideal for couples and families looking for some peace and quiet with a slice of adventure. Check dates and prices on here. Glamping accommodation types: Treehouses – Not suitable for those looking to do glamping in Snowdonia on dog-friendly sites. Named after the mountains that shelter them, these cabins make a perfect romantic getaway for two and sit close to the River Henryd. With only 10 minutes from the Welsh coastline, perfect for evening walks or evening picnics. The Cabins Conwy is as close as you’d expect to Conwy Castle and also ideally placed for the Snowdonia National Park. Bedding is provided as is a cute kitchenette with all cabins. These are not only perfect for couple’s romantic breaks but those looking for glamping in Snowdonia National Park. Check dates and prices on here. Glamping accommodation types: Self-contained glamping cabin. Cefn Crib Glamping is situated 5.8 miles from Aberdovey, on the mid-Wales coast on the edge of Snowdonia National Park. Popular with couples, Cefn Crib Glamping is set on a working farm. There are walking trails starting from the property, with a variety of wildlife seen. Check dates and prices on here. Glamping accommodation types: Fully furnished Bell Tents. Offering amazing views of rugged landscape from 6 safari tent lodges. The safari tents offer multiple occupany between 4 and 5 people so perfect for families or groups. They are fitted with insulated wooden walls to cocoon you from the elements. As for the interior? You can experience all the comforts of home – from solid wooden floors, comfortable and welcoming beds, to showers and flushing toilets. There are even places to charge your gadgets and a cosy wood burner. There is also a restaurant on site as well as a shop. On your doorstep, you will find the world-class activities of Llechwedd Deep Mine Tour, the Quarry Explorer Tour and then all of the Zip World Titan & Caverns. 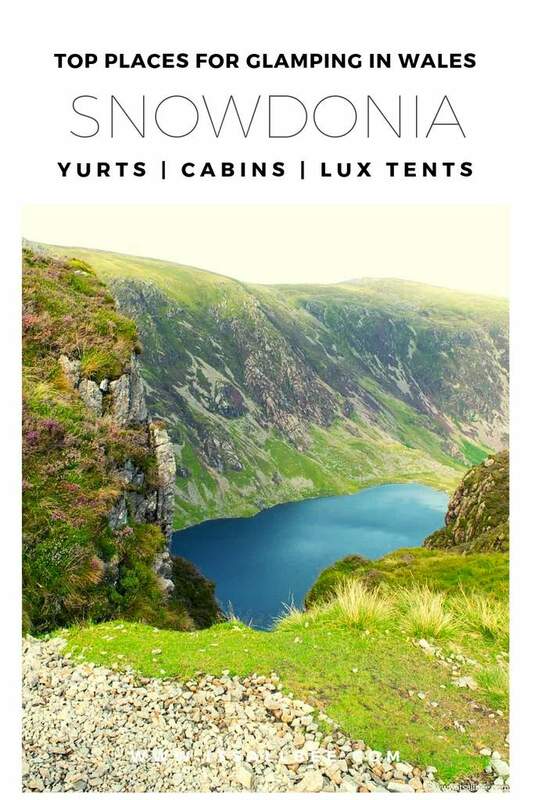 There’s also more stunning adventure opportunities with Bounce Below and Antur Stiniog mountain biking as well as the stunning Snowdonia National Park with a gorgeous steam railway and some of Wales’ best walking trails. Check dates and prices on here. Glamping accommodation types: Safari Tents. Hendre Hall offers a few glamping accommodation options, from Shepherd’s Huts, glamping pods and electric grass pitches if bringing your own motorhome. Glamping pod and Shepherd’s huts built for couples and small families looking for a break and an opportunity to be at one with nature. Barmouth Beach, Cadair Idris and Moelfre are all within easy access. Pets are also allowed on site. Horse riding and watersports are on offer as well as access to Snowdonia National Park trails. Check dates and prices on here. Glamping accommodation types: Glamping Pods, Shepherds Huts and Motorhome pitching. Overlooking the Mawddach Estuary and located with Snowdonia National Park is Graig Wen Glamping They offer a wide range of glamping accommodations are on over. Nestled within mountains, with sandy beaches, castles, steam trains, zip lines and bike trails close by, Graig Wen offers you a place to relax and recharge. Glamping accommodation comes with stunning views of Mawddach trail. Check dates and prices on here. 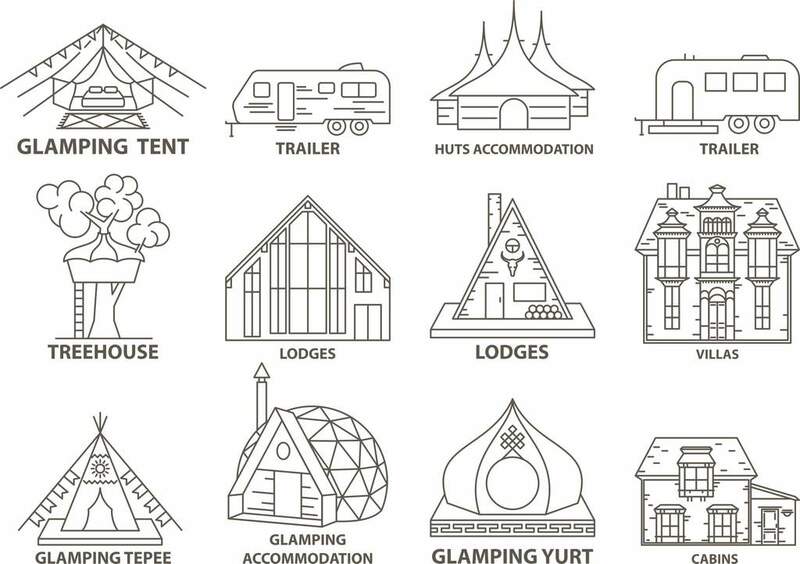 Glamping accommodation types: Yurts, Bell Tents, Cabins. Set in Pennal, the cabins are located within Snowdonia Park and offer great facilities, with bbq, a private garden, and a terrace with views. Perfect for a family or group looking for some downtime, the cabins come with 3 separate bedrooms, a living room, a fully equipped kitchen with a dishwasher, and 1 bathroom. Check dates and prices on here. Glamping accommodation types: Yurts, Bell Tents, Cabins. Set in the stunning Snowdonia foothills is Brynteg, a picturesque holiday park set in lovely surroundings. Amid idyllic countryside, pristine beaches and breathtaking views of Snowdonia, Brynteg’s luxury holiday park offers something for everyone with its self-contained cabins. On site you can also find a gym, swimming pool, hot tub spa and beauty lounge. Activities available including swimming, golfing, fishing and other watersports Also great for those looking to do glamping in Snowdonia on dog-friendly sites. Check dates and prices on here. Glamping accommodation types: Luxury Lodges and static caravans. Offering mountain views, the log cabin is located in Trawsfynydd in the mountains of Snowdonia. The cabins all come kitchen facilities; h a kettle, a flat-screen TV, ironing facilities and a living room. There is a seating and a dining area in all units. Llandudno is 29.8 miles from the holiday park, while Betws-y-coed is 11.2 miles away. Check dates and prices on here. Glamping accommodation types: Luxury Lodges and static caravans. Making its home in the Snowdonia National Park, Bryn Dinas Camping Pods will get your holiday off to a great start with its setting between two shimmering lakes and close to the Welsh Highland Railway. Bryn Dinas Camping Pods has pods in varying sizes suitable for couples and small families. 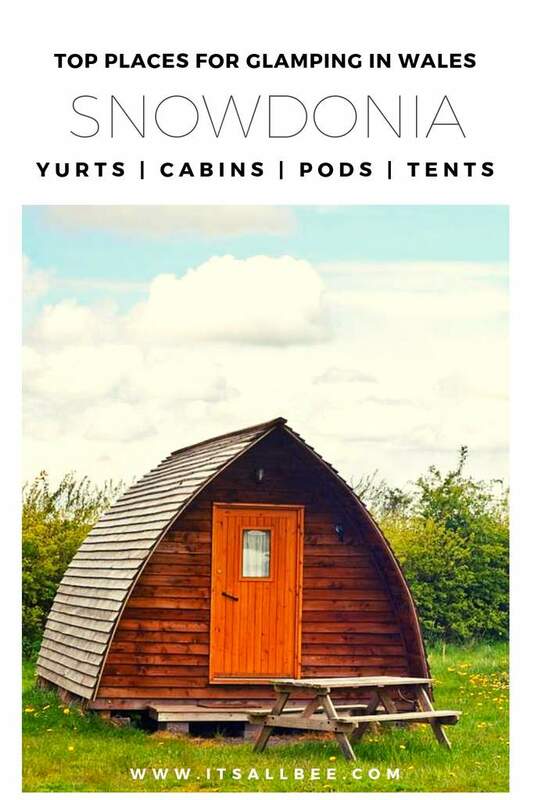 Near these glamping pods in Snowdonia, you have access to Brecon Mountain Railway, Zip World Slate Cavern, Dolwyddelan Castle, Snowdon Mountain Railway, Llanberis Lake Railway, Dolbadarn Castle and Bodnant Gardens. You can also rent bikes in the area and set out to leave your wheel tracks across many fascinating stretches of the Snowdonia National Park. Check dates and prices on here. Glamping accommodation types: Glamping pods. Located in Trawsfynydd, these cosy log cabin are right in the very heart of Snowdonia and features seating areas perfect for checking out the stunning mountain range in the national park. All cabins come with private bathroom, living room, flat-screen TV and fully-equipped kitchen. An oven and microwave are also available, as well as a kettle. Check dates and prices on here. Glamping accommodation types: Glamping cabins. Allibella Shepherd’s Hut is set in a large, landscaped garden, and ideal for a couple or a family of two adults (max) and up to two children. The hut has all the essentials for the perfect glamping experience, such as a kitchen area inside. There’s also a kettle, toaster and TV/DVD, plus a pullout dining area. You could spend your entire holiday just looking at the scenery from the sofa, or with a glass of wine on the decking. There’s plenty more for walkers too, with the Barmouth Heritage Trail, Mawddach Trail and mountains like Cader Idris and Snowdon in the area. Check dates and prices on here. Glamping accommodation types: Glamping cabins. If you are looking to do glamping in Snowdonia with hot tub then Ogwen Bank Country Park is the one to check into. Glamping with hot tub and privacy so you can chill with a glass of wine after taking on adventures within Snowdonia National Park. Young and old will all love the 12 acres of natural woodland tucked away at Ogwen Bank. This beautiful spot in the Nant Ffrancon Valley brushes the foothills of Snowdonia and makes a perfect start to your adventure. A little glamping in North Wales Snowdonia are these lovely wooden lodges. There are varying sizes perfect for couples and those perfect for small families or groups of 6. Check dates and prices on here. Glamping accommodation types: Glamping pods and Lodges. his traditional Welsh family farm looks out towards vistas of Snowdonia and the Carneddau Mountains, dotted with grazing cows and sheep. It’s hard to believe that this country haven is only two hours in the car from Manchester. Each of the lodges on site accommodate 6 people each so perfect for families or groups of friends≥ You can also take your pick from watersports on the Menai Straits, or a host of outdoor activities to suit any taste at Betws-y-Coed and Llanberis. Llanfairfechan is great for birdwatchers and only about 20 minutes away. Snowdonia is the place to be if you’re looking to take on mountain biking and hiking, or try the cool new attraction of Surf Snowdonia where the waves are always the perfect height, whatever the weather. There is so much more on offer. Check dates and prices on here. Glamping accommodation types: Canvas Lodges. Set in 7 acres of its own woodland, Nyth Robin offers glamping as well as 10 touring pitches with electric hook up. The local area is ideal for walking, cycling or a day at the beach. Or if you prefer, simply enjoy a stroll around the site’s woodlands or relax by its ponds and listen out for the abundance of wild birds. For glampers, there are spacious 5 metre bell tents which sleep up to 4 people, so great for families or couples. Or there’s the cosy shepherd style hut, perfect for couples looking for a romantic getaway. Check dates and prices on here. Glamping accommodation types: Canvas Lodges. Enjoy a campfire, a beachy day out at Shell Island or an endless list of stunning activities in the Snowdonia National Park from this well-placed site. Nantcol Waterfalls is just as deep in waterfall country as you’d expect and pitches benefit from the gentle babbling of a river that runs by. Make some great family memories in your tourer, under canvas or even in a lovely glamping pod or bell tent. Check dates and prices on here. Glamping accommodation types: Glamping pods, bell tents, campervan and caravan pitches. Just like camping, even with glamping there are a couple of essentials you still need to pack to make the experience more comfortable. Most glamping sites require you to bring your own bedding not all may provide this- unless stated. Don’t forget a pillow. Food supplies – although you can get this on the way or some sites have a 7/11. Cleaning essentials – essential if you are staying a couple of days and need to wash things. Entertainment system – a little wireless speaker to connect with your phone for music in the evenings. There are so many things to do in Snowdonia, the views alone should be enough to bring you to these Welsh mountains. Hiking trails – there are plenty of hiking routes with varying levels of difficulties but plenty for all levels. Cycling. There are amazing adventures trails for cycling from adventurous mountain biking to easy flat trails. There are glamping spots that also offer golf nearby. Fishing trips in Wales why glamping nearby. Kayaking, windsurfing and plenty of other watersports – Snowdonia has numerous inland lakes providing endless opportunities for those wishing to enjoy watersports of all kinds. Flying Scotsman in Brecon – Perfect for glamping romantic breaks in the Welsh countryside surrounded by woodland, hiking trails and open fields. 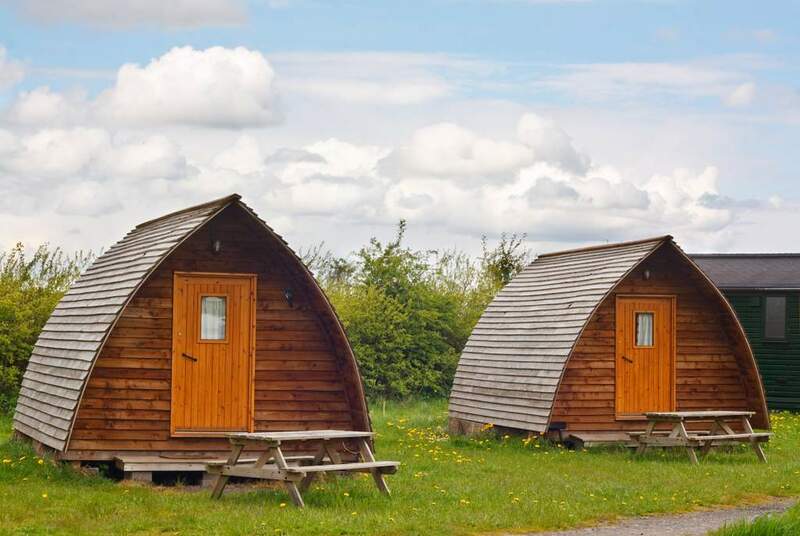 Forest of Dean Holiday Park in Forest of Dean has over 20 glamping pods which also include pet-friendly glamping pods some with also have ensuite private toilets/bathrooms. Sheperds Hut in Ridge Hall in Staithes – has cozy huts for perfect hideaways for anyone looking for a relaxing rural retreat on the Yorkshire Coast. Dimpsey Glamping in Somerset – If you are looking for luxury glamping then this is one to check out. Complete with woodfired hot tubs and views across the Blackdown Hills – an area known for its outstanding beauty. Strathfillan Wigwam Village in Tyndrum – Located in Scotland’s West Highlands within Trossachs National Park and also near Loch Lomond.